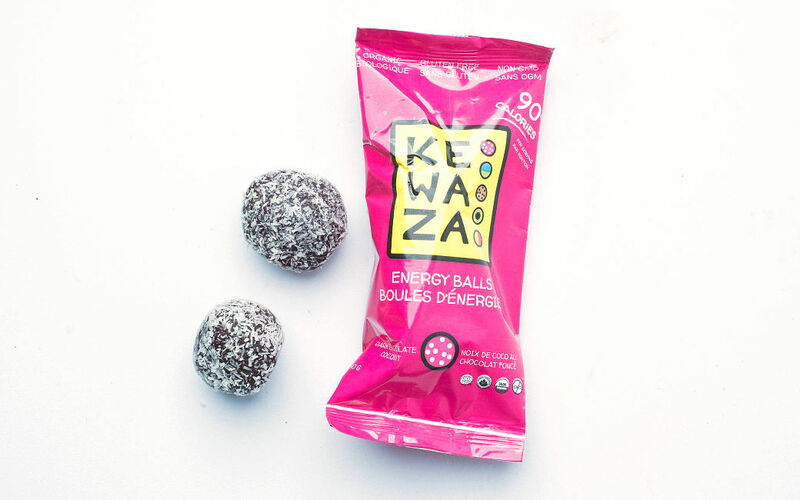 Kewaza™ is a snack like no other. These energy balls are completely organic, Non-GMO, soy free, dairy free, and gluten free. They are also free from any preservatives, chemicals or fillers and are all completely natural. They consist of fruits, nuts and other super foods… Thats it! Simple and absolutely mouth watering. Honey, cocoa powder, coconut oil, raw whole grain brown rice protein, goji berries, shredded coconut, cocoa nibs, flax seed, maca powder.